Research suggests patients may be better off with acetaminophen to treat chronic pain instead of opioids. As millions of Americans are swallowed up by opioid addiction, opioids are still frequently used to treat patients with chronic pain. But Washington State University associate professor Sterling McPherson says that may not be doing patients any good. A new study co-authored by McPherson found that patients who used opioids for non-cancer chronic pain feel no difference when they stop using opioids. As the medical community faces questions of when to prescribe opioids, McPherson thinks the research could shed new light on the conversation. "Let's take a step back and say, 'What evidence is there that opioids are an effective tool for chronic pain?'" McPherson says. "There isn't any evidence that it's effective." McPherson conducted the research with Oregon Health and Science University assistant professor Travis Lovejoy, who presented the findings at a meeting of the Society of Behavioral Medicine last week. Their findings add weight to a separate study published March 6 in the Journal of the American Medical Association that found opioids did not provide better pain relief than acetaminophen in treating chronic pain. "The conclusion we came to is that on average, over a long period of time, people's pain won't change on opioids," Lovejoy says. They studied the medical records of 600 veterans who had long been on opioids to manage non-cancer chronic pain — things like headaches, lower-back, neck or hip pain — and then stopped using opioids for at least 12 months. In those 12 months, the pain levels the patients self-reported to their doctor did not change, on average, compared to the pain levels while they were on opioids. The patients were predominantly white males. Half had been diagnosed with a substance use disorder. If anything, McPherson says, adverse effects appeared to go down among patients who stopped using opioids. The results weren't all that surprising to the authors or attendees of the conference where Lovejoy presented the findings, Lovejoy says. The two researchers hypothesized that pain would remain unchanged when patients stopped using opioids. 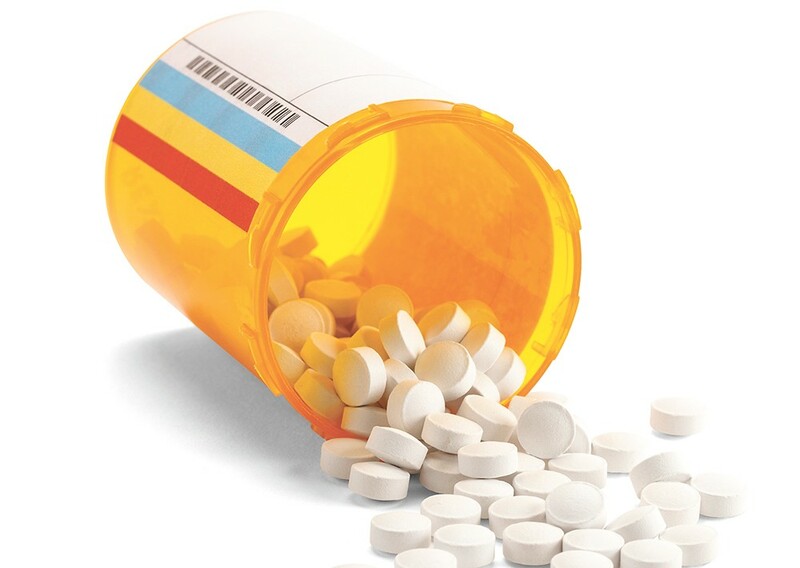 Physicians are already beginning to reduce the use of opioids, and this provides empirical data to measure the long-term effect of opioids in pain management. None of this is to say that opioids don't provide quick relief for acute pain. Opioids will provide pain relief initially to patients during the first few months of pain management. After that, it seems they lose their effectiveness to the point that after a year they're not effective at all, while putting patients at risk of addiction and overdose, Lovejoy says. The adverse effects of taking patients off opioids still needs to be understood, however. Cutting a patient off could simply push patients to another provider, or lead to suicidal ideation or heroin use. McPherson and Lovejoy are working on follow-up studies on the implications for patients who discontinued opioids. In the meantime, prescribers and patients should be discussing alternatives, they say. But McPherson cautioned that more research is needed before any policy changes are made. The original print version of this article was headlined "Painful Reality"